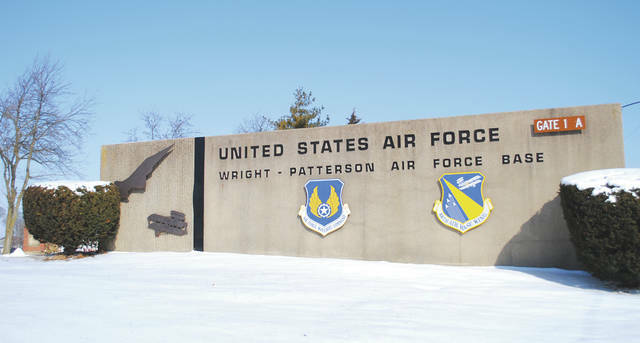 File photo Wright-Patterson Air Force Base will break ground on a new gate March 19. The new Entry Control Point 26A will replace the current Gate 26A and commercial vehicle inspection point at Gate 16 and facilitate better traffic flow. WRIGHT-PATTERSON AIR FORCE BASE — The 88th Civil Engineering Group of Wright-Patterson Air Force Base is scheduled to break ground on a new Entry Control Point March 19 at 9:30 a.m. near the current Gate 26A on the Northeast side of Area A, exiting on to State Road 235. The new Entry Control Point 26A will replace the current Gate 26A and commercial vehicle inspection point at Gate 16 and facilitate better traffic flow. The current Gate 26A sees an average of over 5,000 vehicles per day and the commercial vehicle inspection facility averages over 100 vehicles per day. The project will be executed by the U.S. Army Corps of Engineers, 88th CEG, and 88th Security Forces Squadron. The construction contract was awarded to Messer Construction Company of Dayton on July 20, 2017. Moving the commercial vehicle inspection facility will also relieve traffic congestion along Route 444. The $10.5 million contract for the facility allows construction to begin in March 2018 and has an estimated completion date of Dec. 31, 2019.
https://www.fairborndailyherald.com/wp-content/uploads/sites/50/2018/03/web1_wpafbexercises.jpgFile photo Wright-Patterson Air Force Base will break ground on a new gate March 19. The new Entry Control Point 26A will replace the current Gate 26A and commercial vehicle inspection point at Gate 16 and facilitate better traffic flow.